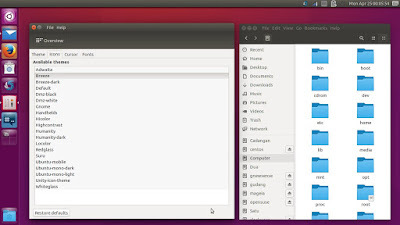 Unity Tweak Tool is a free software (GNU GPL 3+) by Freyja Team for customizing Ubuntu Unity graphical user interface. We want to give you examples of using the four tweaking categories inside this tool. We want to make it clear for some the most important only or most notable tweak for Unity. 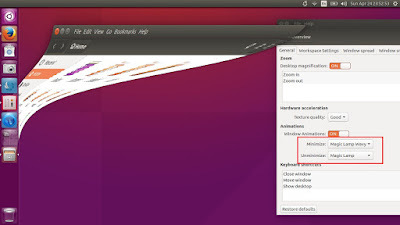 We use Unity Tweak Tool 0.0.7 on Ubuntu 16.04 here. We hope this will help you so much. 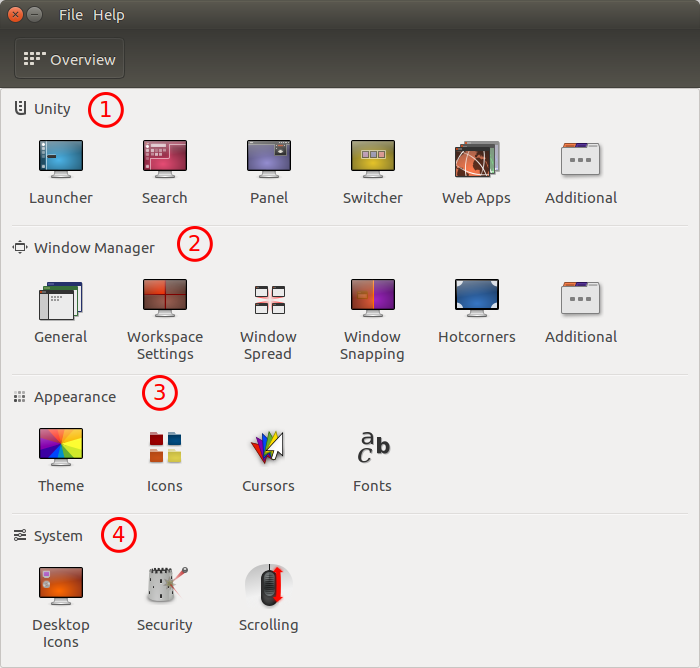 Unity: covers some aspects about Unity desktop environment such as the Launcher, Search, Panel, and so on. Window Manager: covers some aspects around window manager in Unity. This means desktop effects. Appearance: covers some aspects around desktop theme generally. System: covers some aspects about system, such as security. The most notable tweaking example comes from the Launcher subcategory when you may switch Unity vertical Launcher from the left to the bottom (finally). Please not that you may switch this starting in 16.04 (Xenial Xerus) or Unity 7.4.0. 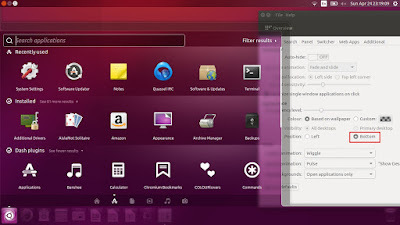 Previous Ubuntu versions don't support this switching. See this picture. Hide Launcher: slide ON in the Auto-hide option. Disable Blur on Menu: go to Search tab > slide OFF in the Background blur option. Disable File Search: go to Search tab > uncheck Enable search of your files option. Clear Alt+F2 Command History: go to Search tab > press Clear History button. Top Panel Transparency: go to Panel tab > slide the slider Transparency level. Probably, the most notable tweaking in this category is Windows Animation. 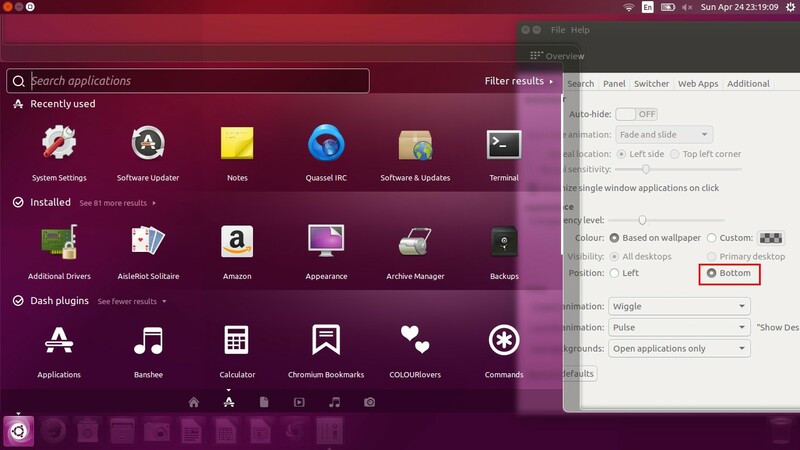 It is very similar with few options in CompizConfig Settings Manager. You may change the maximize/minimize animation to Magic Lamp, Glide, Fade, and so on. Icons on Windows Spread: go to Window spread tab > check Icons on previews. This will give you icon for ever window while doing windows spread (Super+W). Disable Window snapping: go to Window snapping tab > slide OFF Window snapping option. Enable hot corner: go to Hotcorners tab > slide ON Hotcorners option > on the top left selection > select Window spread. This will give you the same effect with GNOME 3 super key windows spread. 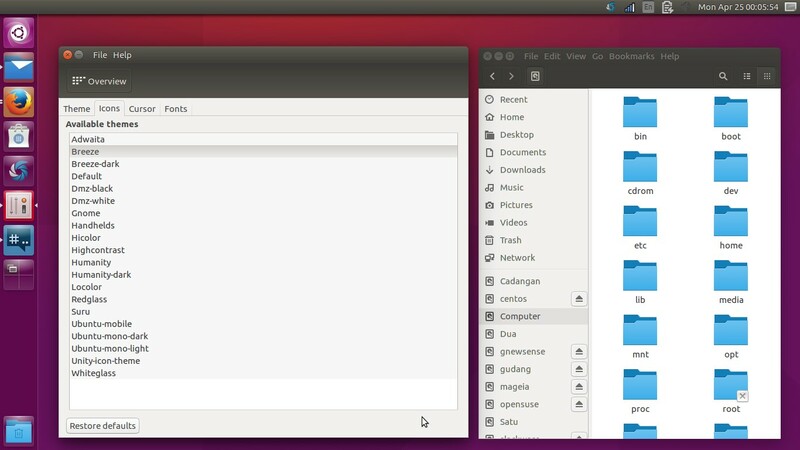 Good tweaks in this category covers icon theme and cursor theme changing (default Ubuntu System Settings can only switch theme). 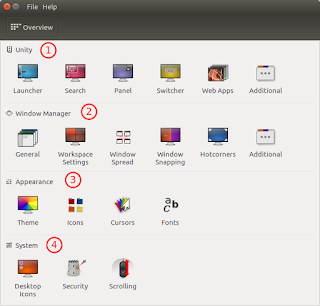 Example below shows Unity with Breeze icon theme. Two finger scrolling: activated by default in 16.04. If it is not, activate it by go to Scrolling tab > check Two finger scrolling. Make sure your touchpad hardware supports this feature. Disable fast user switching: go to security tab > check User switching option. You may do this in every tab by pressing Restore Defaults button.